What does it mean to follow Jesus? And how should we help others become more like him? Once upon a time, being a Christian seemed clear. Say these words, pray these prayers, do these things. But out in the real world, following Jesus feels more nebulous. What's the point? That's Stephen's struggle in these pages as he wonders if he has missed his calling. 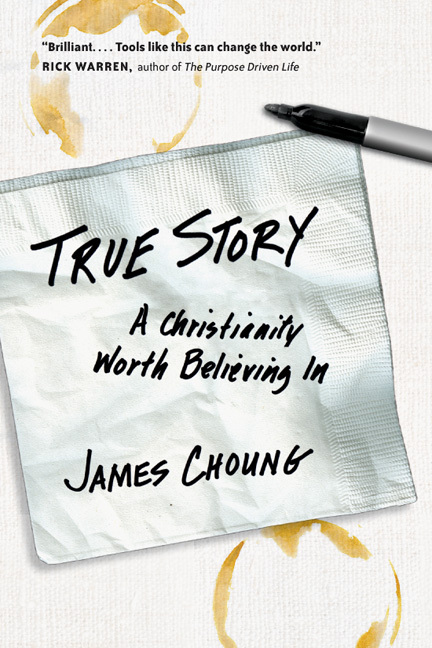 In this compelling narrative, James Choung explores what it means to follow Jesus in the real world. Is Christianity something you just believe in, or can it be something you actually live out? Engineer Stephen wants to encourage his younger colleague Jared in his spiritual journey, but both feel at a loss. Stephen's friend Bridget offers insights on how Boomers, Xers, Millennials and younger generations approach spiritual questions, with implications for discipleship, community and service. Together they walk through deepening stages of faith as they discern how God is calling them to live. Join Stephen, Bridget and Jared on their journey of following Jesus, as they discover what it means to move from skeptic to world-changer. And find new pathways for Christian discipleship and disciplemaking in a world yearning for hope. "To thrive, the church can't merely be about making converts, but must focus its energies on making disciples--the very essence of the Great Commission. Real Life is a huge step in the right direction, offering a simple, practical tool to help everyone involved in disciplemaking to know that the objective is to get disciples to walk, talk, think, feel and do as Jesus did. For the sake of the church, read this book and put it into action!" "Real Life turns disciplemaking on its head, fusing together elements that have normally been separate--evangelism, spiritual formation, community and mission--into one great model that could easily be applied and multiplied. To make disciples today, this book is a valuable resource to get us started." "The artificial--and inaccurate--dichotomy between discipleship and evangelism has been deadly to the church. This book by James Choung is a worthy antidote. It is practical. It is missional. It moves followers of Jesus toward a life of depth and significance and living out the good news for the long haul. It is for anyone seriously desiring to live as an authentic disciple and, in turn, help others in the journey of following Jesus." Sam Metcalf, president, Church Resource Ministries-U.S.
"Choung tells the story of discipleship in such a way that the most hesitant will be motivated to get off the couch to be and make disciples of Jesus. Because he paints a picture of discipleship through story, the lessons linger with you long after you shut the pages of the book." "Practical, wise, inspiring. James Choung is a gifted storyteller. 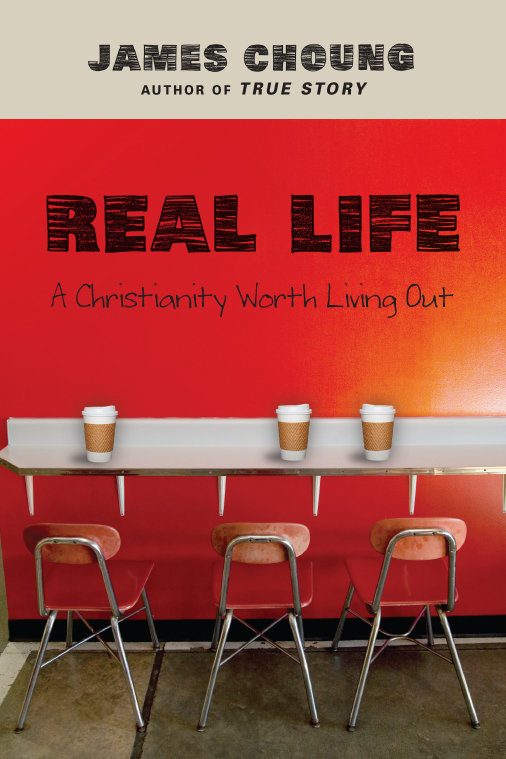 Real Life: A Christianity Worth Living Out teaches biblical principles in discipleship via an entertaining story about Stephen, a young professional who desires to see God's presence in the everyday realities of his family, vocation and relationships. Choung introduces the Real Life Continuum, an extremely helpful framework for the discipleship journey." "Real Life: A Christianity Worth Living Out is a practical guide to discipleship. James Choung lays out a step-by-step process for helping others be like Jesus. If you have ever wanted to apprentice someone in the ways of Jesus and are not sure where to start, you gotta read this book!" "Everyone wants to change the world. Few do. How do we create a culture where people can live into their dream for contributing to God's world? If the word 'discipleship' doesn't immediately come to mind, you should read through Real Life! In this volume James Choung gives practical inspiration for how we engage the people around us to become Jesus-followers." "In fresh, clear, 'talking to you straight' language, Choung tells an intriguing story to encourage people who want more in their spiritual life. He paints a compelling and accessible picture of what a full life in Christ looks like. He explains the dynamics we see but can't quite put into words?-and then he goes on to give insightful, practical and compelling next steps. He connects elusive topics such as race, power and privilege with familiar ones such as prayer, Scripture study and church. An excellent resource for those wanting more in their experience with God and for leaders of faith communities! A surprisingly powerful book, crammed into a small, readable package." 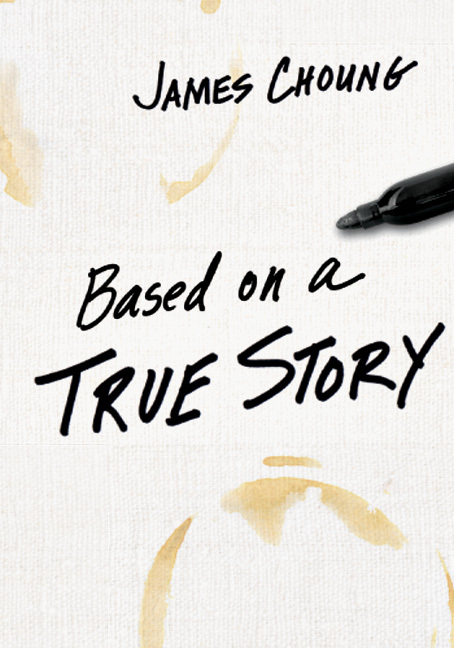 "Real Life changes the paradigm for disciplemaking the way True Story pushed evangelism beyond the bridge diagram. Choung weaves an engaging story with helpful data, explains cultural and generational values and shifts, and moves us into the core spiritual questions of each generation. Real Life asks readers to consider disciplemaking as part of integrated Christian life and leadership in community without separating it from evangelism. I'm excited to see how the church will live and grow after reading Real Life." "This is the real deal, folks. Like a good story, Real Life draws you in--it is honest and elegant and helps you understand yourself and your world better. And like a good tool, Real Life empowers you--it is solid and practical and helps you work more fruitfully. In the important task of disciplemaking in the twenty-first century, the church desperately needs stories and tools like this." "A discipleship adventure and story you won't want to put down! The Real Life Continuum is a simple but powerful vision of what discipleship could be and should be. Choung brilliantly narrates a model that impacts deeply and broadly, from skeptics to world changers. It's a must-read for anyone exploring disciplemaking." "The book's conversational tone, relevance to today's issues, and tangible solutions make this an important read for both ministers and laypersons who seek more unified and better motivated Christian communities." James Choung (DMin, Fuller Theological Seminary) is vice president for strategy and innovation for InterVarsity Christian Fellowship/USA. He has been in campus ministry for over twenty years and previously served as national director of evangelism for IVCF. He is the author of True Story and Real Life, and he speaks frequently at campuses, churches, and conferences. 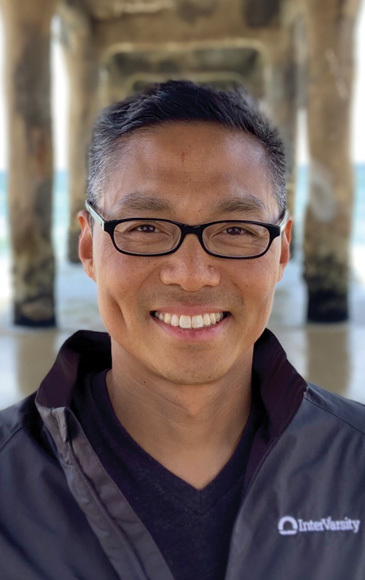 Ordained with the Association of Vineyard Churches, he previously served on the pastoral staff of a Boston-area urban church plant, a megachurch in Seoul, and a house church in Los Angeles. View the video of James's gospel presentation or download the video or audio.